Seeing the face behind the Elmo costume feels a little like seeing the man behind the curtain on the Wizard of Oz. Great shot! Pinkunderbelly: That is *exactly* what I thought! a bit about your history and artistic affinities with Grover? I should have realized this was not Grover. He is blue, like the sea, yes? 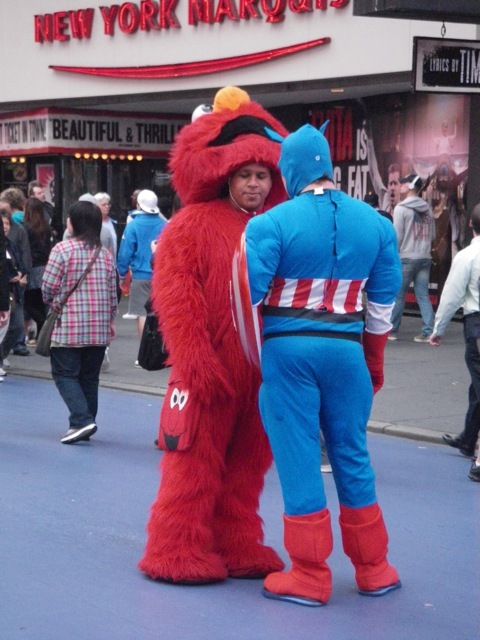 pssstttttt…elmo, not grover. and i agree with pinkunderbelly. i hope we see pics of the winters work pieces! um holly, the artist said, ‘grover’. i personally know that it is indeed grover that has played a key role in influencing barb’s visual process. her fans deserve the whole story. Winter’s Work pieces photos tomorrow. Today, I’m headed off island to see my mom. 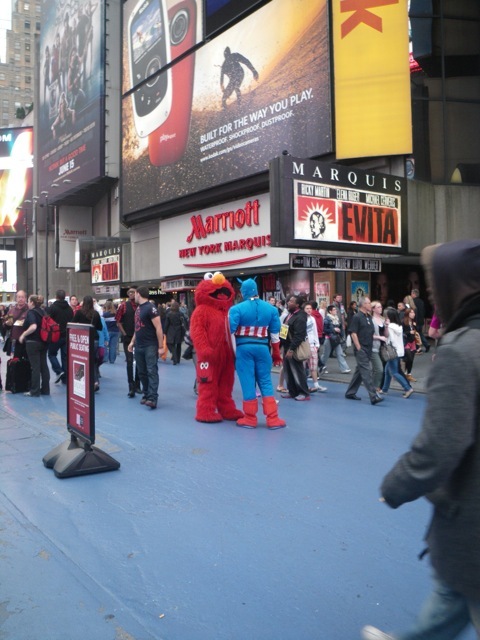 Okay, Grover Schmover, Elmo Schmelmo; where’s Tenille?